Alarm goes off at 4:30am, I get out from the cosy insides of my tent (I’ve been sleeping outside for almost 2 weeks). I’m preparing myself for the Appalachian Trail by simulating the sleeping conditions, whilst out in America on the trail I will sleep in a tent every night for 40 nights. I miss the first Train by seconds, so take the bus to the Victoria station in London. I miss the connecting train by seconds also, is this day against me already. I arrive 30 minutes later than expected, no biggie. The North Downs way national trail is now under my feet. Cloudy skies above and wind pushing me backwards. I start running, right away I’m faced with a big hill covered in mud, I proceed upwards with my Leki Micro Trail Race poles. Eating banana and dates as the first 30 minutes has passed. I start to feel alive as nature casts its spell on me, green all around and trees noisily moving in the wind. I ‘ve run 15 miles now and it’s taken me 3 hours, I turn around and head back towards the direction I just came from. Today is what’s called an out and back run. I trip on a root but catch myself before hitting the ground. My legs have blood on them I’m covered in mud but I’m in my happy place. 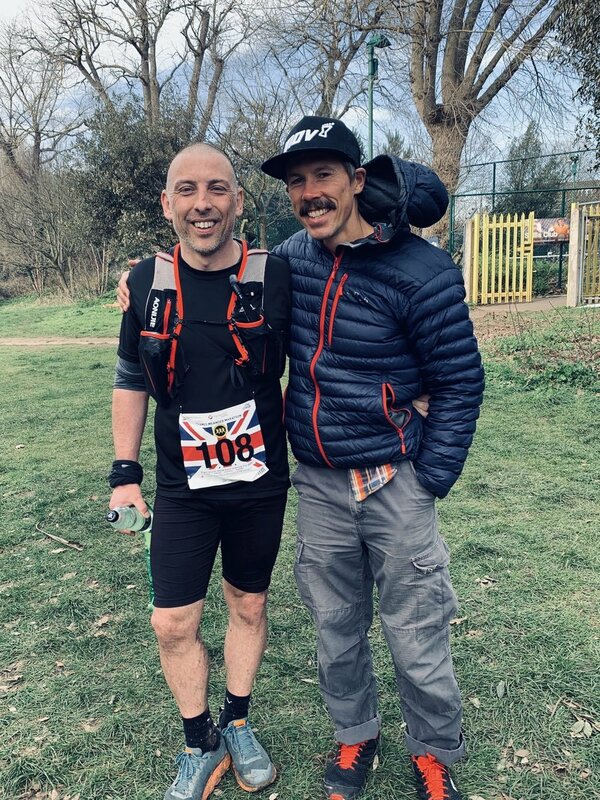 I stop and talk to a runner I passed on the way out, he tells me about his up and coming race with Centurion Running, he will run the South Downs way 50 mile in 4 weeks. Today is his long run of 28 miles, I say good luck and carry on. I run down a big hill, slipping and sliding due to mud but I stay upright as I reach the bottom. I’m already back at Merstham train station, 6 hours has passed but it could be 6 minutes, trails running does that to me. I loose myself. I first heard, “choosing to stop is different from quitting” in a book named ‘Called Again’ by Jennifer Pharr Davis. The book tells Jennifers story of going back to the Appalachian trail and beating not just her own fastest known time (FKT) but also setting the overall FKT for both men and women. Warren Doyle is spoken of often in Jennifers book as he is a mentor of hers. Jeniffer tells of how after 16 times hiking the AT, Warren was on yet another hike but just decided to stop, he wasn’t quitting he describes the difference as stopping being a calculated choice where as quitting is just a moment of weakness. As if like a student of Buddhism suddenly he felt enlightened and didn’t need to continue his journey forward on the trail. What does all this have to do with me, well the fellow in the photo is Clint Hall my cousin on my fathers side, I’m wearing the black Inov-8 hat. We spent a lot of time together as children but then as we got older drifted apart. Running is what brought us back together as adults and when I heard Clint would be running the Thames Meander I decided it would be pretty good idea to also enter and run. 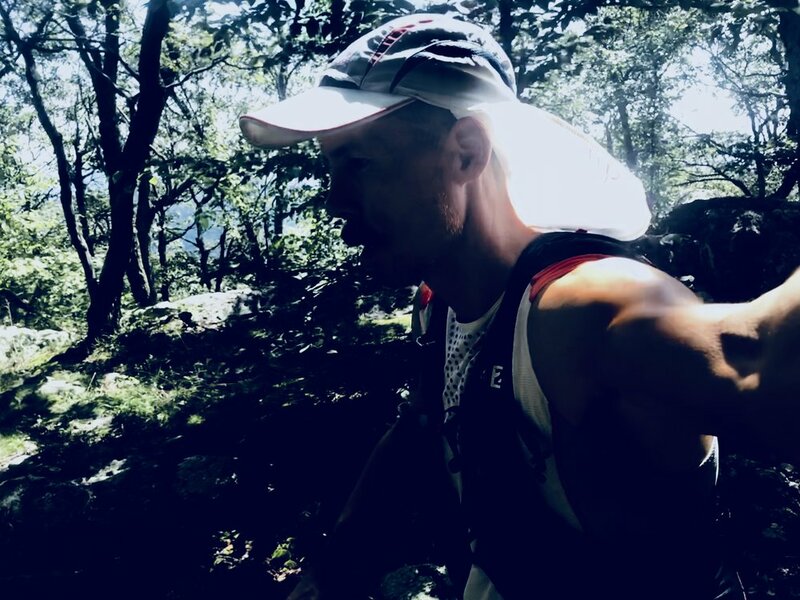 This year I will go for my own FKT on the AT and have been training by running for a long time very slowly and including lots and lots of elevation/hills during these sessions. So entering the marathon with my only purpose to spend time with Clint. As the race director “David Ross” also my good friend counted down and fired the gun I let my competitive spirit take control. After leaving Clint behind to run with the first 5 runners I reached the halfway point in 1 hour 25 minutes. My heart rate was in the 180’s (way too high). I have not been doing any fast running lately only concentrating on my long slow runs so I was totally cooked by halfway. I wanted to quit but could not soI carried on to mile 16. Then I stopped instead. I realised I had lost my purpose for entering this marathon. I left Clint behind in pursuit of the front runners, in the process redlining and blowing up. I stopped at mile 16 and even though I decided to stop and not quit I still felt envy as I saw the happy faces of the other runners crossing the finish line. But I was happy for my cousin Clint, he finished strong and beat me in the process. If you would like to find out more about my FKT this summer check out my instagram as I like to take photos of my training and nutrition leading up to the big dance. Moral of my blog and lessons learned by me, define your purpose and stick with it. Started out having learned from the 20 miler yesterday. Actually added a new screen on my Garmin watch which just showed distance and time. I wanted to run by feel and not be influenced by statistics of my pace and heart rate. The run starts out up hill and gains almost 500 meters in elevation, then after 4 miles I turned around and lost the same amount of vert gain by running downhill. The sun was beating down on me, the temperature about 33 degrees celsius. I totally was able to to stay in a relaxed state of mind flow, due to this I never felt any discomfort or difficulties. Running uphill requires patience and downhill is different you need to keep your breathing relaxed. If your shoulders are tense running downhill it’s a sign your not relaxed enough, this can actually slow down. I drank half a litre of water during and drank the water from a fresh coconut straight after, even so I still weighed 1.5 kilos less than when I started. Overall I really enjoyed this run today and I can thank yesterday as lessons for today’s approach. I have taken this insert from my Strava feed. I think it’s worth posting here and I’m I hope you enjoy reading it. Lost my ego, Lost mental pain, Lost any physical pain and Entered a flow. My plan was to run 20 miles at a certain pace. This pace would have been my aerobic/endurance zone. Eventually my heart rate super seeded my aerobic zone and went into tempo. It was really hard for my ego to let go of holding this pace, I walked for one lap and then concentrated on my heart rate. Even focusing on my heart rate was a challenge so I walked for two laps. Then after almost quitting I decided to let go of everything and just run and not look at my watch. So first I passed the hold of my ego, then I passed the mental pain, then I passed the physical pain, then I entered into a flow where there was no ego no pain just forward moving. So pleased I didn’t quit today as this was a lesson, today I learned not to have too many expectations and just go with how you feel. I actually drank half a litre of water every 30 minutes and also ate a small banana or a piece of pineapple every 15 minutes for the duration of the run. But I still came out 2 kg lighter than when I started which means in total I lost 4.5 kg but replaced 2.5kg so was left in deficit of 2 kg. To see actual run on Strava or to follow me on Strava follow the link below, it will take you directly to this particular run on my Strava feed. I stayed up till almost 1am this morning so when I woke I felt groggy. But I had an appointment and so got up and dressed. The storm still hasn’t arrived so no need for a rain jacket. I drink an Americano at 100 Islands, one of my favourite coffee shops on the island. Jump on my bike with a track by Marshmallow and Anna Marie, since hearing it in Bo’s car the other day I listened to it pretty much on repeat. It’s time for my appointment, I enter the jungle and but I can’t find the receptionist’s, but then I see them at the top of a tree swinging around the branches having fun. I decide to just enter the jungle without signing in. The trail starts steep, so I take out my poles and proceed to hike up and up and up. The grade is so steep I slip back now and then. Finally I arrive at the top, I’ve been going about an hour and I swear I sweated out 2 litres already. I crest the peak of the trail, Folding my poles away I decend the dirt road in front of me, 600 meters of pure downhill and I love it. My quads start the head up like a train going downhill constantly on the brakes, but I still love it. I take out a bag of fruit from my running vest, hmmm what to choose I’ve got watermelon, guava and dragon fruit, I take a little of each and stash the fruit away till later. The views are insanely beautiful. I’m the side of the island that inspired Alex Garland to write the novel The Beach. More climbs ahead, the downhill done for now. The rest of the run is a mix of up and down climbs, I stop off at a beach called lost Paradice, it’s got the grand number of 4 people on, 2 girls eating a fruit salad on a table , a chilled out Thai guy and a another guy cutting some grass. I enter the ocean, the waves a sign of what’s to come from the storm. I dive into large wave that try’s to swallow me and pop up out the back of it, better luck next time wave. I buy and eat 3 small Thai bananas and continue with my run. I finally finish after just under 3 hours. Thankful to you Mr Jungle. The German girl (Magderina) who is the hut next door told me tomorrow a storm is coming. I have done some research and yes she is correct. I read that waves up to five meters tall and seven feet of rain per day will hit us here on Koh Phangan. Unfortunately I’ve just five minutes ago paid the bungalow owner for three weeks to stay here. Magderina tells me she has booked a concrete hotel room up high on a hill for the next three nights. I know I must move too, I read the ocean will surge over coastal land and my bungalow is only 100 meters from the beach. 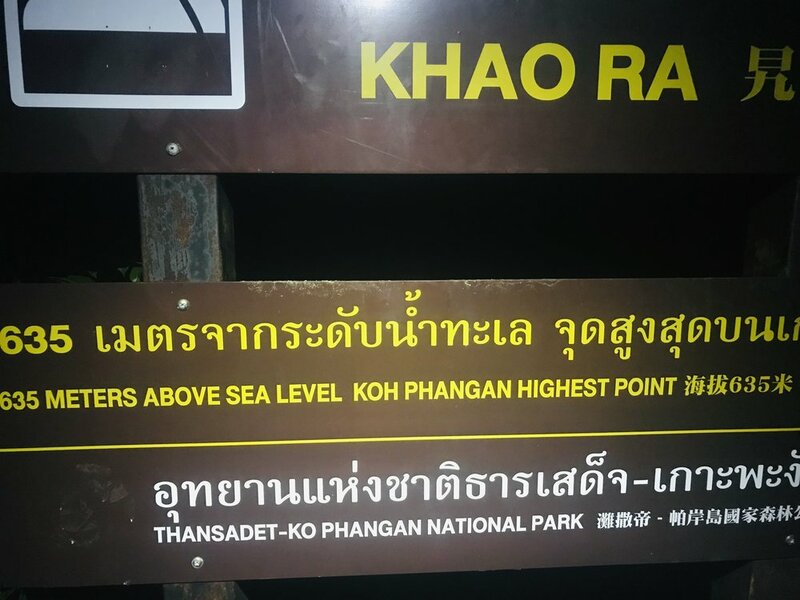 I decide to go for my evening run up the tallest point on the island “Khao Ra” a 635 meter mountain. Halfway up I turn on my headlamp as its now dark sun has set and Im under the foliage of the jungle. I pass an American couple coming down and the girl asks, “Have you been up before?”, in a worried tone. “Yes loads” I reply, then she says “Oh my god” in a really really worried strong New York accent. After I have passed them the thought crosses my mind about how unnecessary people’s worrying can be. I reach the top and pause my watch, I have been up hear about twenty something times and I just ran up in my second ever fastest time. An American named “Brandon Huges” holds the current Strava uphill segment record at 27 minutes 34 seconds, mine is the second fastest recorded time 28 minutes 8 seconds, that makes me just 34 seconds behind his record. Nobody has come close to Brandons record in over two years. I intend on taking this record down before I leave here in three weeks. And so I moved, I went riding on my moped up a big hill found a nice set of bungalows not too far from where I am and booked a place for three nights. The storm will come but I’m ready. Make sure to keep following my diary’s for the latest in the storm. Goodnight guys. I arrived on the island of Koh Phagnan by boat late this afternoon. I had a déjà vu feeling as if I’ve been here before but I have many times. The photo above is taken of the life ring on the boat with the Sun just about two hours from setting. I haven’t run today for a few days so as I begin this evening on the running track it feels oddly unfamiliar. Within 15 minutes I’m warmed up. I discovered this dirt 400 meter running track about three years ago when visiting the island. I don’t know why but it feels like home. A place where I run and go deep into my mind, I search places I haven’t been before, I feel a great peace here. The mountains in the distance turn from from lush green to silhouettes in the night sky. I feel so lucky in my life. I have family, friends and my health, who could need anything else. Today I have clocked up over 25,000 steps walking around the fabulous city of Bangkok. Eating with health and the environment in mind makes you feel happier and the word a better place. Thats what I did today, I ate so clean I’m feeling super charged in mind body and spirit. No animals were harmed due to my food choices today either. I’m not vegetarian but today I didn’t want to eat meat. Breakfast was brought from a street vender, chopped Papaya and Guava two really tasty and nutritious fruits. Did you know Guava has the most vitamin c amongst all the fruits. Lunch is pictured in the photo above, mushroom soup at a vegan restaurant named “Koko”, as soon as I walked in I could feel the good vibes. I don’t often get it wrong when I follow my instincts. I just finished dinner, brown rice and lots of green vegetables followed by baked banana, watermelon and pineapple. So I’m full of goodness and know my body will feel happy for the choices I made today. I drank one coffee at a really nice coffee roasters before lunch. I find by seeking out roasters you will have a better quality coffee experience because the roasters are passionate about what they do. The name of this roasters is “Brave roasters”. finally it’s New Year’s Eve, I’m never going to forget this day as I’m on a night sleeper train to the south of Thailand, tomorrow I go to the islands. I decided to ditch my night train for spending some time with Bo and her family in Pak Chong, this is also the place of the Thailand North Face 100k (TNF100). I arrived in Bangkok tired, hungry and seriously jet lagged, I waited for Bo outside her office. Bo and I met this year when I ran the TNF100, Bo is the daughter of P-Ot who’s farm I stayed on both this year and last when I came to race. We drove up in Bo’s car from Bangkok along with Am her brother a highly intellegent young man who is unassuming and Oat her friend who I took a liking to the instant we picked him up, Oat is funny. The journey took about four hours with a few stop off’s including McDonald’s. Upon arrival I laced up my trainers, Bo and Oat dropped at the trail head to the TNF100. This would be my second run on Thai soil the first being at the Benjakitti park in Bangkok yesterday. The trail felt so nice, sun overhead with wind gently blowing on my skin, I ran for about 10 miles on what I thought was the TNF100 course (the course has been changed since last year I heard later). I got back to the farm of B0’s family feeling invigorated. We ate out at a restaurant belonging to friends of Bo’s family. In Thailand when eating, the table is brought several dishes which everyone shares. I really enjoy Thai food the spices are rich and herbs plenty, the taste’s identify with every taste bud in your mouth. After we drove back to the farm, I slept like a baby in my tent to stop the mosquitoes bitting me. Waking in the morning I felt truly sick, my throat was burning and energy levels where in the below zero range. But I got up anyway (it was still early). I made a Nescafe instant coffee and hit the trail. TNF100 is made up of newly man made trails in through and around farmers fields and small mountains, the ground today was dry and dusty with large rocks and clumps of dirt bombs. I returned defeated after my run feeling sick and beat up with bloody arms and shins after running through long grass and shrubs on the grown over parts of the course. I do not think they have finished preparing it yet. I felt full of accomplishment, after not wanting to run today I managed one hour and thirty minutes. I wake early, it’s actually 4am. The hotel room is cosy but outside is beckoning me. It’s been a full two day’s since I’ve been for a run. Using my Google map’s my phone helps me navigate the dark, humid streets of Bangkok. I’m heading to a park named “Benjakitti”. The park is a little over one mile around a rectangle lake and is specifically for walkers, runners and cyclists. Only just started running and already I’m getting irritated by the feel of the water bottle resting on my chest in my running vest, it’s really humid and I feel so sluggish. I guess sitting and travelling for two days is to blame. After 4 miles I become tired but continue on. I’ve now run 6 miles and my body is using fat a fuel, I’ve not eaten much the past two days and feel pretty low on energy. I search my phone for a Seven Eleven but the nearest one is half a mile away, I decide to carry on until I reach ten miles. Having finished my run I’m now sitting on a blue plastic stool waiting for pork noodle soup at a street food vender. There are no other foreigners just Thais eating their breakfasts, I like to find places like this one. The noodle soup fills me with goodness and I return back to my hotel for a morning nap. I wake early, it’s 4:30am and my iPhone alarm is sounding. I remember why I had set the alarm last night and jump out from bed, today I travel to Thailand. I stayed at my mums house last night and have a few choices on how to get from here to the tube which will take me too The airport. I opt for using my own feet and walk the two miles to the tube. Today I will be sitting down more than I would like on airplanes, so walking is the best option. As I walk my fifteen kilo pack feels actually not so heavy and so I brisk walk through the dark cold streets. I didn’t bring a jacket and I’m cold as it’s only two degrees but in Thailand the temperature will be too hot for a jacket, so I’m prepared to suffer the cold for this short walk. I read my book “A walk in the wood’s” by Bill Bryson. In the book Bill recalls his walk on the Appalachian trail with his friend Stephen Katz. I have recently finished “North” by Scott and Jenny Jurek and also the very well written “Called again” by Jennifer Pharr davis, all these books are about hiking/running the Appalachian trail. We arrive at the airport without me really noticing the time pass by, “A walk in the woods” has me engrossed. The flight attended asks if I’m okay as I walk around looking for an empty row of three seats on the plane. I waited till I was the last person to board the plane in hope of finding a free row of seats to lay down and sleep on. I was way too excited to sleep last night. I tell the lovely flight assistant about my search and and she leads me to a free row of seats I had not seen, but warns me that I must vacate if the missing 5 passengers show up. Just as I’m chatting with my mum on the phone telling her how lucky I am the late family show up and I move for them. Back to my seat I go where I’m snugly sat between a passenger to my left and right. Ten minutes pass by I have accepted my fate when the same lovely flight assistant appears and leads me along the aisle to a seat with a free seat in-between me and the an Indian man with a moustache sitting next to the window. Very pleased with this progress I thank the lady and proceed to call my mum to tell her the new great news. After a pleasant flight and more stories from Bill’s book I’m now in Bahrain waiting for my connecting flight to Bangkok. ROUT is a 100 mile ultra marathon that travels through the Rodopi Mountains National Park in Northern Greece. The mountains are wild and the forests virgin. Bears claim home in the mountains amongst other animals. last year, I crossed the ROUT finish line with my friend Jakub Hajek in 29 hours and 15 minutes, it was a wonderful experience and a testament of true friendship, so I have returned this year. Only problem is I’ve been doing zero activity whatsoever in the last few weeks since the UTMB. The result of this laziness caused my muscles to stiffen leaving me sore and tight. Then after a series of stretches in my fathers kitchen I was unable to walk. Spending 3 days either in a wheelchair or on crutches, my future completion of ROUT seemed impossible. It’s a little before 6am, the air is cool and the sun is yet to rise. I’m standing at the start of the ROUT. I’m risking a DNF (Did not finish) but I’m prepared for this, I am fully aware I might fail but what have I to loose. If my legs give up on me at least I’ll know I tried. We run down a dirt road which will continue for another 7k until a right turn when we will enter the forest. I see Matthew Maday, a cool guy from America I met here last year. We chat a little before getting lost but it’s only for a short time and are soon back on track. 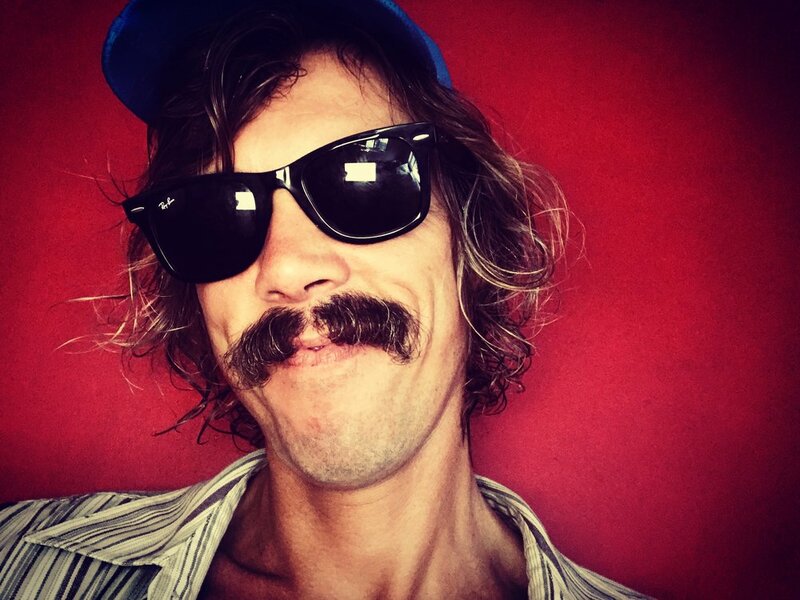 Matt tell’s me how he had a test of faith after his 100 mile Western States Endurance run this year. 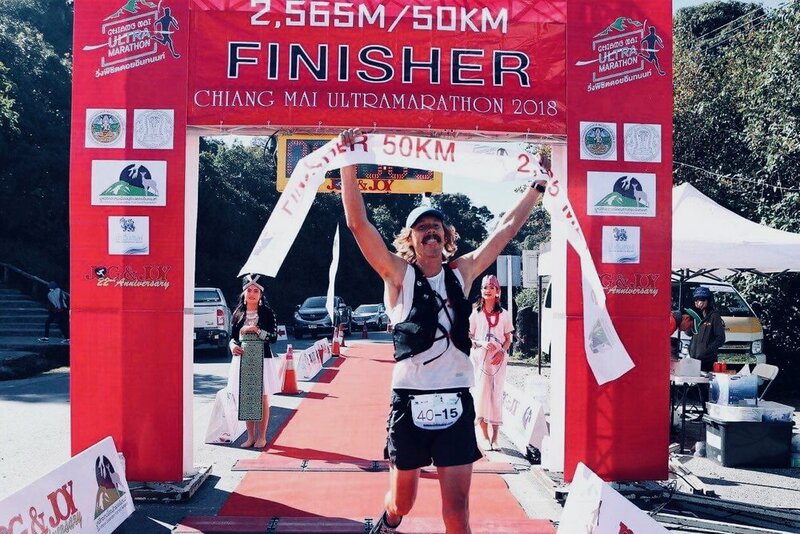 He says he just couldn’t find the motivation to run afterwards and even wanted to quit ultra all together. Pressure Matt says was the reason, so treating ROUT as a group run will be his approach. Now if I try to write what happened during the entire race you the reader I’m sure will become bored and so I will do my best to only include the significant sections of more interest. Running downhill for so long eventually causes me to limp and my left inner thigh muscle hurts, so I decide that at the next check point (Zarkadia 1) I will retire from the race. Finally approaching Zarkadia 1 some people to my left cheer and clap as I come close to them. My mind has given up, my body is failing me and so I feel the applause is unjust, I lower my head in shame with a shy smile on my face. I’ve travelled 40 kilometres through the mountains, Its taken me 5 hours so far and has pretty much been downhill from the start. I’m not upset nor disappointed, I was prepared to fail and that’s what has happened. I see Xristos Tallas the race director, he’s such an inspiring guy, full of positive energy he sits me down, I tell Xristos I’m done and would like to retire. Standing in front of me Xristos puts both his hands onto my shoulders, looks at me eye to eye and say’s you cannot quit now there is a climb ahead, continue and you will find your rhythm. His support is encouraging and so I decide to have some soup and reconsider. Then an English fellow named Owen whom I do not know comes across to me asks where I’m from. He tells me it’s interesting to see the different personalities of the runners during this point, mostly excitedly shouting and loud. Owen says how I’m calm and relaxed. Something about Owens presence encourages me and gives me strength. I decide to continue as it’s a climb ahead as Xristos has told me. I’m running like a child, free from life’s pressures and responsibilities. Xristos was right the uphill gave my body time to adjust and I have found my rhythm. I have no pain in my body at all, in fact I feel the complete opposite, confident and have even found a new strength making my way towards 15th position. I battle with a runner as we run down the side of a mountain, I’m close behind him, we travel fast as if almost close to the finish. My adrenaline is high as the runner in front steps to the side and tells me to continue, eventually I can’t hear his foot steps, he’s lost the battle. I ran out of food 2 hours ago, I search my backpack for a gel but find nothing. My water bottles are empty and my mouth dry. I run forwards but now and then stagger to the side almost falling over feeling dizzy. I am so stupid I packed enough food to run for about 21 hours and thats how long I’ve been running for but I still have another 60 kilometres to go. 20 kilometres ahead is Zarkadia 2 where I will find hot food, drinks and my drop bag with more gels. It’s a long way to go I’m already done. After a few kilometres I arrive at the last small checkpoint before Zarkadia 2, I tell them my race number and ask if they have any spare water. the young man shakes his head. I leave feeling sorry for myself. The hunt is on, the runners I past before are now chasing me down like a wounded animal. I really do not know how I’m going to make it to Zarkadia 2. I can feeling my body using fat stores as energy. I think I see a runners head torch but it’s the moon’s reflection in a river to my right. Somehow the final kilometres before Zarkadia 2 pass by and I can smell fire burning ahead as well as hearing voices. People cheers as I enter the checkpoint, I feel as if I have survived an apocalypse. Sitting down I go to work, yes I’ll have a blanket, yes I’ll have a bowl of soup. I change my socks with only 40k to go I feel its unnecessary but so anyway. I down a cup of cola whilst stuffing cold salted boiled potatoes into my pockets yuk. Other runners have arrived smiling and looking fresh, I get up and leave not wanting to be passed but know it’s only a matter of time as I still feel weak and deficit of energy. The soup with meat hasn’t given me the energy I needed, eventually the sugar and caffeine wear off from the cola and I’m back to where I started before arriving at the checkpoint. I’m climbing up the last mountain before I will reach the checkpoint where Jakub will be volunteering (he’s not running this year). I know when, if I get there that’s it for me, I know I have given it my all. It’s not my body that failed me but rather my common-sense, packing food for only the first 100k was a rookie mistake. My energy is so low now I even start to fall asleep as I proceed to go up the mountain. I hear runners behind, turning to see head torches I know this time it’s for real not the moon’s reflection. I get passed by a runner from Cypress, he looks strong and this makes me feel even weaker. Shortly after I arrive at where my friend Jakub is, my first words are wear can I sleep. Lying in a warm sleeping bag I deicide thats it, my race is over. Jakub asks how long before he wakes me, I reply 30 minutes…. Kristian its time, I awake and ask Jakub for another 30 minutes, again as if I’ve shut my eyes having only taken one deep breath, Jakub wakes me, Please 30 minutes again. Finally Jakub wakes me and says time to go, I ask this time for just 10 minutes. I get up rested, not tired but still hungry, there is no food here and I decide to carry on till the last checkpoint with food “Prasinada 2”. No longer tired but without energy I make my way towards Prasinada 2, I look at my watch and laugh, only 1hr and 10 minutes passed since arriving at Jakub’s checkpoint. He must have been fooling me with the sleeping time, good thing as I do not want to be passed by anymore runners, whilst I slept at least 6 runners passed by. I have done it, I have actually somehow made it to Prasinada 2. I will now restore my energy fully, there is no other way to continue forwards. The staff here are kind and feed me traditional Greek soup, I also eat chocolate, chips, drink 3 cups of cola and finish off with a hot, sweet coffee. Before I leave the Greek man who has been looking after me fills my pack with gels and bananas, he tells me the rest of the way to the finish I can run without hiking as its mostly downhill. I leave and receive a round of applause and cheers of encouragement. With a new battery in my head torch the ground in front of me brightly glows. I’m running now, my energy back. Thats all it was before just a lack of energy. I take over my central governor and run hard down the mountain, overriding my minds natural self preservation and safety mode. Thats what ultra is, the ability to take control of your mind, body by sheer determination of your heart and spirit. I pass 3 runners as if Im running a 5k, utter abandonment and freedom. I have just started, the past 150 kilometres are done they no longer matter, getting to the finish is all that counts. Last year Jakub and I hiked this final section, It’s a gentle uphill of 7 kilometres. I want to run it all without any hiking. A storm fills the sky above and rain crashes down, creating small rivers of water. Up till now I have done my best to keep my feet dry but so close to the finish I no longer care as I run through the collection of puddles and streams. I’m running uphill and having the last laugh against ROUT which has broken me already so many times. I see a runner ahead who’s walking in the heavy rain with his jacket on. I run by him smiling, he looks at me and say’s a word in Greek I interpret as crazy man. I leave him behind knowing the faster I run, the sooner I will finish. Now and then my shoulders become tight and my minds says come on enough walk this section, I look at my watch and see if I can run the last 5k in 30 minutes I will finish in under 29 hours, so fight hard against the desire to walk. I hear bells ringing and know I’m close to the finish. I see a sign that reads 750 meters to go, I’ve pretty much done it. I turn off the dirt road and can now see parked cars and electric lights, I run the wrong way missing the finish line only to get told to run back to enter the finish correctly, I do so with complete happiness and joy. Xristos was at the finish last year and is hear again this year. After what seems a lifetime I cross the finish line, again Xristos puts his hands on my shoulders as he stands in front of me, looking me in the eyes he says you did it, I respond, no Xristos it was your encouragement that got me here. Sofia a Greek girl comes over and places a medal around my neck congratulating me. It’s raining hard as I head over to the warm wooden cabin, opening the door I walk inside. The hot roaring fire is surrounded by what I can only describe as ultras human beings who have encountered everything that I have, I take my place next to the fire and we share stories of triumph. Earlier towards the end of ROUT whilst passing through a dense forest I asked god a question, “If you exist god show me a sign, I want to see a bear”. For the next 30 minutes I scanned the landscape around me for a wild bear but god failed me and I didn’t see one. After sharing stories with the other runners around the fire I return to my tent to rest. The rain has now turned into hail and beats down upon my tent intensely. FLASH, BANG… Its the brightest light I have ever seen. The storm is directly above me. I’m certain the next bolt of lightening will strike me. I jump up and run back towards the log cabin, shouting out loud please god no more signs. MDS is one of those epic challenges of a lifetime. A multistage race through the Sahara desert covering about 150 miles (250 kilometres) over 6 days. Runners must carry their own food, sleeping equipment and everything they will need whilst in the desert. People come from all over the world to enter this race. I completed MDS in 2016, finishing 3rd amongst the British runners and 22nd overall learning many lessons along the way, here is a list of the top 10. LIGHT PACK - Aim to get your running pack as light as possible. The MDS rules state a minimum of 6.5 kilograms and maximum 25 kilograms. This weight does not include the water in your bottles so make sure to allow for this. Trust me a light pack will be better than a heavy one. GET THE RIGHT KIT - Decide early on what kit you will be taking with you and practice wearing it during training. Do not turn up to Morocco with new untested kit it might cause chaffing, blisters or you might just not like the feel of it. BECOME HEAT ACCLIMATISED - Remember this is a race across the desert in very hot conditions. You will be better prepared if you become heat acclimatised. I took my kit with me on holiday in Thailand and practised running during the hottest part of the day. CHOOSE THE RIGHT FOOD - Decide what food you will be eating and test it out ahead of time. You do not want to be in the desert and become sick due to your stomach not liking the food you have taken. 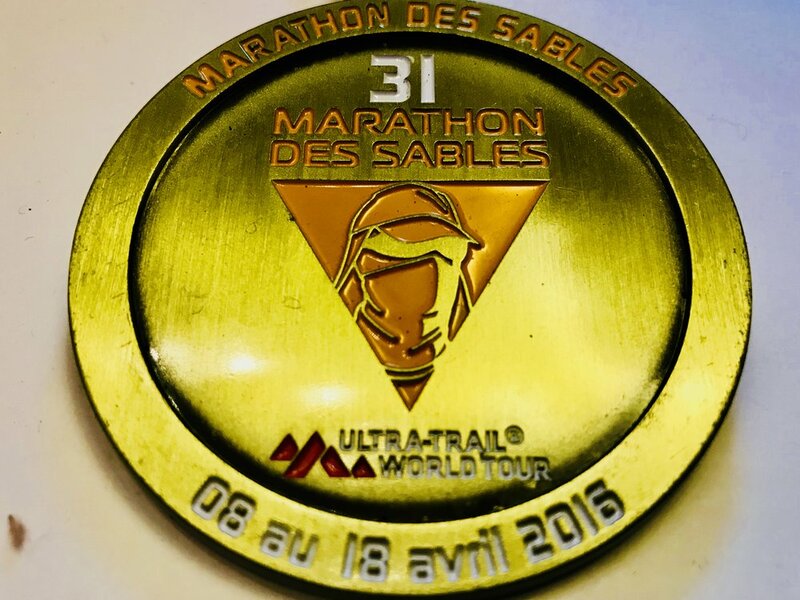 MDS FACEBOOK PAGE - Join the Marathon Des Sables Facebook page, this way you can post questions and have them answered by other runners who have experienced MDS and successfully finished. You may also make some friends and could meet up before MDS for a training run. GAITERS - Get good gaiters for your trainers. Some people in my tent at MDS were unable to finish due to their feet becoming so blistered they were unable to even walk. I used the stitch on velcro method and it worked. I coupled this with a pair of Raidlight gaiters. I got the stitching done professionally by a Tailor. FITTING YOUR TRAINERS - Make sure your trainers fit properly. That means leaving a space of at least half a centimetre from your longest toe to the inside front of your trainers. Failure to do this results in loosing your toenails. I never had a problem with feet. COURSE KNOWLEDGE - Learn each stage, you need to know cut off times so you can stay ahead of being disqualified. Many people each year fail to finish MDS, this is one of the main reasons. It’s also good to know what distance you will be covering each day and will be better mentally prepared. BACK TO BACK TO BACK RUNS - In training you want to experience what it’s like to run on tired legs. I used back to back to back runs to help me become prepared for MDS. It totally worked and I even enjoyed them. TRAIN WITH YOUR PACK - Practise running with your pack on. Not every run and not even the full weight but do not turn up to MDS without ever experiencing whats its like to run with a pack on your back. I hope the top 10 tips above has helped. There are many other things to consider but the above information will help you in your journey towards finishing MDS. I wish you the best of luck. Crying without consideration for who is watching, I'm alone. Almost at the top of Greece's highest mountain "Mount Olympus". I know what it feels like to be alone, no-one to share with, no-one to talk to, just the dark sky above me and the towering peak of sinister Mount Olympus. Tormented by crazy thoughts about good and evil, my mind takes its own direction. Is life real or is this entire journey just a misguided dream. I look down at my legs as I move forward, my body is holding up fine but my mind has had enough and is about to break. I can't give up even if I want to because I'm miles away from any civilisation, to quit now would mean to die. This is a metaphor for my mental state. I think about my mother, warm feelings of nostalgia attached. I love her dearly, just the though of my mother brings me feelings of company. I ask myself the question why am I up a mountain alone in the dark, its a question I do not have the answer to. As if I knew all along but had been avoiding it a realisation grips me... Children, I do not have any, I'm 41 years old and do not have a family. Suddenly I'm awakened by the stength of love, the love a family and only a family can provide. My mind now calm, I feel enlightened, all that matters in life is family and the love for them. I must have children, I must bring life into this dark world and it will no longer seem dark. I reach the top of the mountain, I'm no longer crying but instead I feel I know my true purpose. When setting yourself the goal of running an ultra marathon, you must train your body to become physically ready for the challenge. You must also consider what you will eat during your chosen ultra. 1. What is the distance? 2. How long do I think it will take me? 3. What climate will I be running in? 4. Is it flat or mountainous. 5. Will there be aid stations with food, if so how many and at what points during the race? Answering these questions will help you prepare your fueling strategy and make sure you get it right on the day. Its also advisable to practice what food you will be eating in training. This way you can make mistakes in training and not on race day. Experiment as there is no right or wrong, different things work for different people. This morning I woke up early and ran up a mountain. It was by far one of the best things I could’ve done for myself today. Along the way up I saw a small brown snake making its way through the brown leaves. It requires a lot of energy and I was heavy breathing as I hiked up the mountain, on the flatter parts I jogged lightly. Once at the top I found a remote village. I stopped off pressed pause on my watch and bought some barbecued sweet potato. I then found a coffee Grower who made me a coffee using beans from the ground I was standing on. His mum even ground the coffee beans and he roasted them himself. Starting my watch back up again I descended the mountain jogging lightly, relaxing my breathing. I found such a flow I forgot about time and where I was. All that mattered was paying attention to the rocks in front of me as so not to step and trip on one. Once at the bottom of the mountain I press stop on my watch content with my mornings activity. I then ducked into a local Thai restaurant, saw some good food and said same for me. From now until the end of the year which events are you running? Which of these events are your A races and which are just tune up races? Many more questions will be asked as so the coach can learn as much about you and your running goals as needed. After the consultation the coach will create a running program for you based on information you have given them. During the program any questions you have will be answered by the coach. You and your coach will catch up with each other on a regular basis to discuss your progress. Have a running program written personally for you. Get your questions answered by a professional. You and your running coach become a team. Avoid injury and learn correct running form. Achieve higher success in races and get new personal bests.